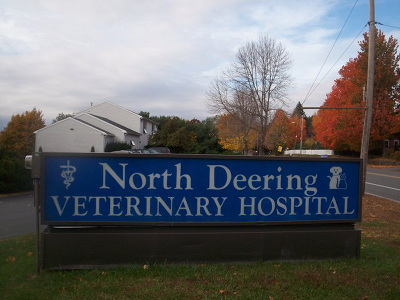 The veterinarians and staff at North Deering Veterinary Hospital are ready to provide your pet with cutting edge veterinary medical care. From wellness exams and vaccines to advanced diagnostics and complex surgical procedures, your dog or cat will receive high quality care at our hospital. Sometimes conditions arise that require veterinarians with specialized training. We'd be pleased to provide you with contact information for the area referral hospitals that we work with to best serve your pet. We also have access to an expert in ultrasounds, who visits weekly. For echocardiography and abdominal ultrasounds, Dr. Lee Garrod, DVM, DAVECC is available both at our clinic and at her own specialty hospital, The Veterinary Emergency Critical Care & Cancer, in Newinton, NH.